More than 260 board members and superintendents representing more than 150 school districts and county offices of education across California met at the Capitol on March 12 to advocate for the state’s K-12 public schools and its more than 6 million students — with Full and Fair Funding a central theme. Board members in attendance for Legislative Action Day said they are feeling the financial pinch at their districts. “Everyone here is worried about money,” said Doug Paulson, an Escondido Union School District school board member and long-time educator. The shape of those concerns depend on the district — the Pacific Union School District near Fresno, for example, stressed the need for transportation funding for its rural constituents, while the Cupertino Union School District officials discussed the high costs of educating in Silicon Valley — and were underscored by several ongoing state funding gaps. Those shortfalls include California lingering in the bottom 10 nationally in per-pupil funding, being 45th in student-teacher ratios and 48th in staffing levels for key positions such as school counselors and nurses. The state is only now returning to school funding levels last seen before the Great Recession of a decade ago. Spending per student, adjusted for inflation, has risen only $614 over the past nine fiscal years. Increasing cost pressures such as health care and pension obligations are also burdening districts budgets, and many schools need building renovations or improvements — by way of funds that have been slow to trickle out under bond sales through Proposition 51. The record number of attendees at CSBA’s flagship advocacy event had the opportunity to meet with and discuss pressing issues with Assemblymembers, Senators and their staff. In their meetings with legislators, trustees also stressed the importance of supporting Gov. Gavin Gavin Newsom’s commitment to K-12 education and the Local Control Funding Formula ahead of the May budget revision. Central to the future of LCFF, board members encouraged their legislators to support Assembly Bill 39, which would increase the size of LCFF base grant targets. 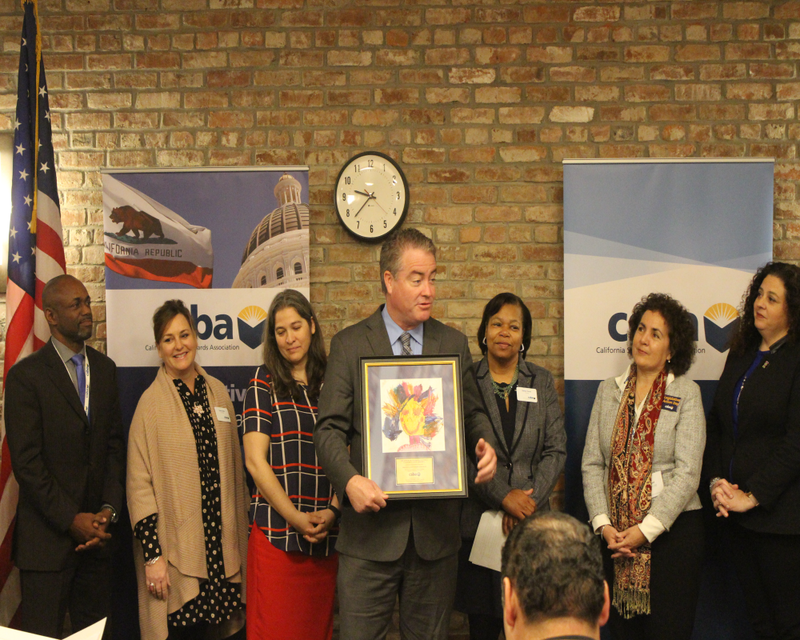 At a morning ceremony, CSBA also honored Assemblymember Patrick O’Donnell (D-Long Beach) as its Legislator of the Year for his education advocacy and alliance with CSBA’s legislative and advocacy efforts.